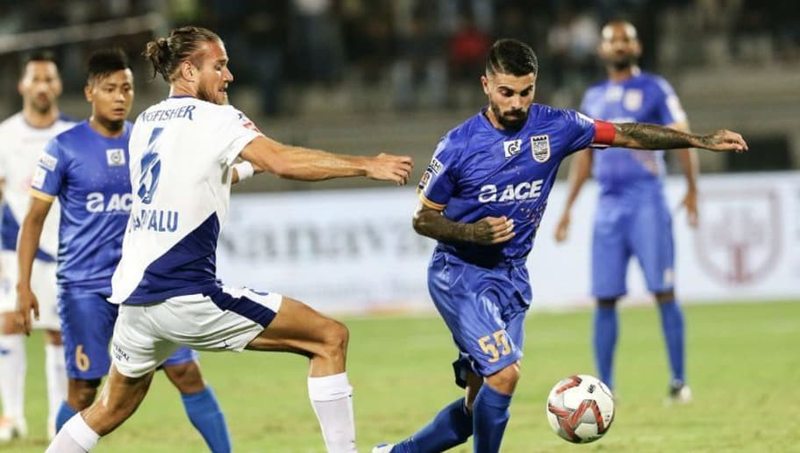 ​Bengaluru FC lost for the first time in the 2018/19 Indian Super League as Paulo Machado's goal helped Mumbai City FC claim the win. The result meant that Mumbai dislodged Bengaluru from the top of the league standings on goals scored, as both teams are level on points and goal difference. Both teams are level on 27 points but the Islanders have played one game more than the Blues. Both teams began the match aggressively, looking for the breakthrough. Though it took some time to develop, the away team had the first opportunity, with Xisco Fernandez's shot from Rahul Bheke's cross saved by Amrinder Singh. Soon after that, Bheke saw his header saved by Singh. The goal came in the 29th minute as Machado capitalised on some lovely work from Rafael Bastos, whose lovely pass was converted clinically by the Portuguese winger past Gurpreet Singh Sandhu in the Bengaluru goal. With the half coming to a close, Juanan saw his header drift wide of the far post while Modou Sogou missed Machado's cross by inches, keeping the score 1-0 at the break. The second half saw Jorge Costa's side defend manfully as they were content to sit back and invite pressure from the away side. They did look to break on the counter but the opportunities were far and few in between. The only clearcut opportunity for Bengaluru FC fell to talisman Sunil Chhetri, who saw a cross from the right bounce away harmlessly out of play off his shin in what was a good position inside the box. Mumbai City FC's win gives them momentum to carry forward in the second half of the season while Carles Cuadrat's men now have to pick themselves up and get back to winning ways.